As the economy in the United States boomed during the early and mid-1990s, the demand for silver and gold precious metals began to sink. The Silver American Eagle entered the decade with a bang, experiencing a spike in bullion coin mintage to 7.1 million in 1991. By 1994, things were different. 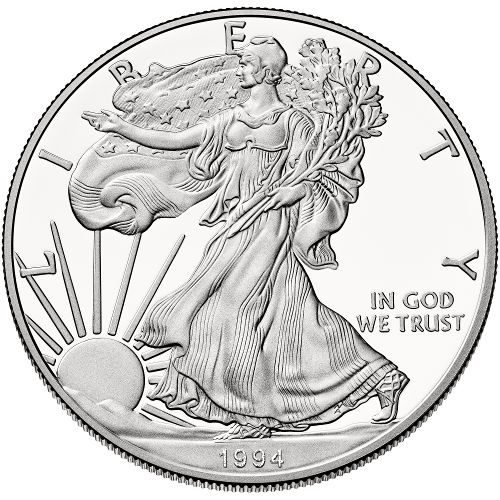 The 1994-P Proof Silver American Eagle is now available for purchase on Silver.com. Mintage level in 1994 was 372,168 proof coins! 9th annual striking of Proof Silver American Eagle coins. “P” mint mark identifies the Philadelphia Mint as the origin facility. The state of the American economy and global economy as a whole have always impacted demand for silver bullion products. 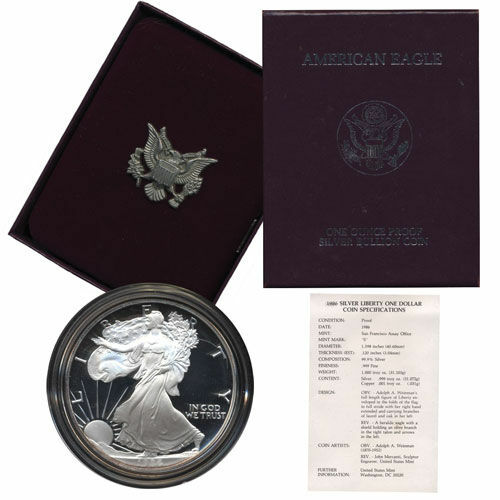 With a healthy and growing economy in 1994, the demand for Silver American Eagle coins was shrinking. Mintage levels in total were down by 2.5 million from 1993. While the bullion version of the Silver Eagle bore most of the brunt in decline, dropping from 6.7 million the previous year to 4.2 million, the Proof Silver American Eagle hit an all-time low. 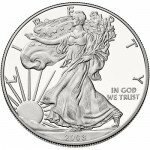 The total mintage of just 372,168 1994-P Proof Silver American Eagle coins this year remains the lowest one-year mintage in the 30-year history of the Silver Eagle program. The overall mintage was the second lowest in program history. On the obverse is Adolph A. Weinman’s depiction of Lady Liberty. She is featured in full-length figure walking toward the setting sun. His depiction is representative of the nation’s desire to find a peaceful, brighter future. Struck in the midst of World War I in Europe and American isolationist sentiment at the time, Weinman’s vision of Liberty was in-line with larger American views of the world and America’s place in it at the time. The reverse bears the heraldic eagle of the United States. 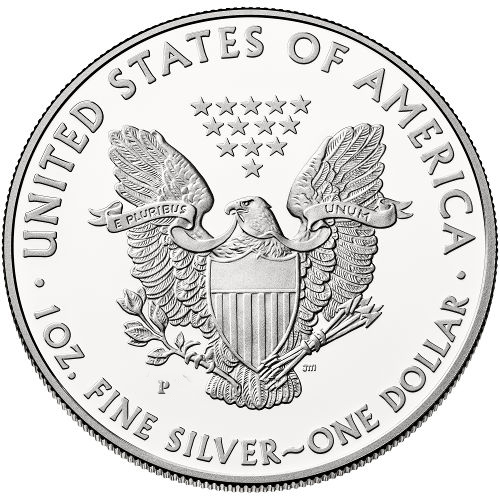 Modernized in 1986 by John Mercanti for the Silver American Eagle, it features an American bald eagle behind the nation’s heraldic shield, the traditional arrows and olive branch clutched in its talons. Please direct any questions about the Proof Silver American Eagle to a Silver.com associate. You can reach us on the phone at 888-989-7223, online using our live chat, or via email.